Expedia has some excellent Almohaja travel packages waiting for you. Bundling your flights and lodgings is one of the easiest ways to save cash on your vacation. Our enormous international database offers more than 321,000 properties worldwide and 400 partner airlines. With such a terrific range of options, arranging your dream vacation will be a piece of cake! We've got all the hot sightseeing tips for your forthcoming trip to Almohaja. Grab your travel organizer and get ready to start working on that itinerary. Whether you want to de-stress with a few drinks or try out some thrilling activities, Expedia will help you. All you need to do is turn up! Expedia currently doesn't have any property listings for Almohaja. However, you'll come across a few places to stay just 8 miles (13 km) away in Monterde de Albarracín. 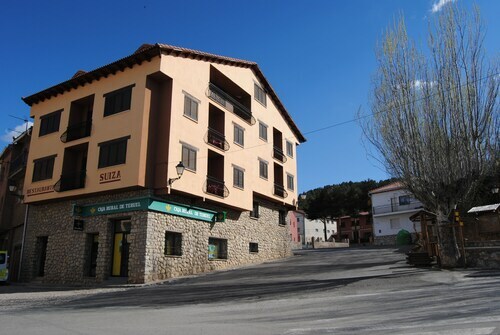 The best options in Monterde de Albarracín are the Hotel Doña Blanca, Albarracin and Valdevecar. Adolfo Suarez Madrid-Barajas Airport (MAD) is situated 110 miles (177 km) west of the downtown area of Almohaja. Collect your luggage hail a cab and switch into vacation mode! 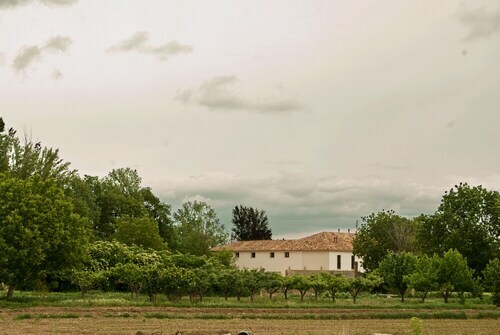 Situated in the suburbs, this hostal is 10.9 mi (17.5 km) from Calamocha Roman Bridge and 11 mi (17.7 km) from Church of Santa Maria Maggiore. Church of Navarrete and Plaza de Antillón are also within 20 mi (32 km). 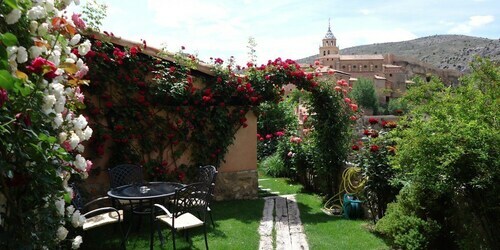 Situated in Albarracin, this hotel is within a 10-minute walk of Plaza Mayor, Albarracin Museum, and Julianeta House. 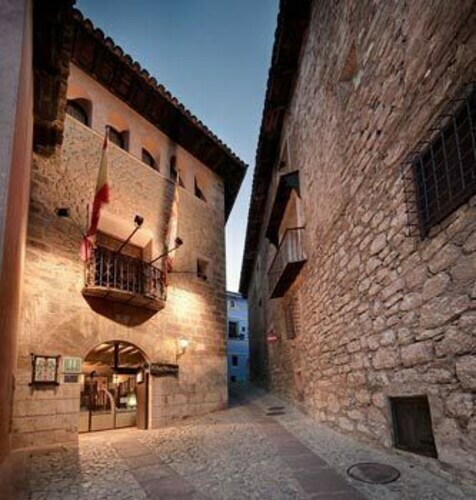 Muralla de Albarracín and Albarracin Toy Museum are also within 10 minutes. Situated in Bronchales, this hotel is within a 10-minute walk of Fountain Plaza and Hermitage of Santa Barbara. Plaza de Antillón and Plaza Mayor are also within 20 mi (32 km). Situated in Albarracin, this hotel is steps from Julianeta House, Albarracin Museum, and Muralla de Albarracín. Plaza Mayor and Diocesan Museum are also within 10 minutes. 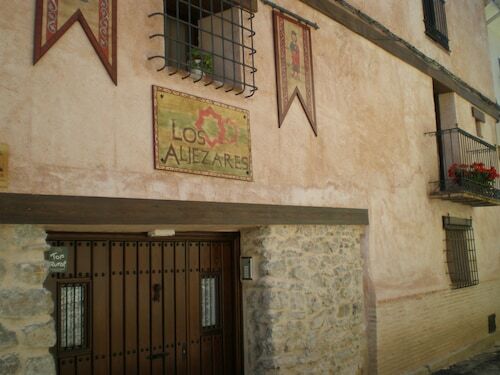 Situated in Teruel, this hostal is within 9 mi (15 km) of San Juan Plaza, Aljibe Medieval, and San Pedro Church. Acueducto Viaducto de los Arcos and Teruel Museum are also within 9 mi (15 km). 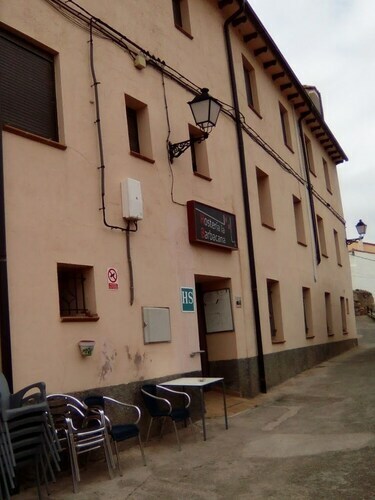 Situated in Orea, this hostal is 10.7 mi (17.3 km) from Fountain Plaza and 10.9 mi (17.5 km) from Hermitage of Santa Barbara. Nacimiento del Río Tajo and Plaza de Antillón are also within 32 mi (52 km). Situated on the riverwalk, this hotel is 10.7 mi (17.1 km) from Calamocha Roman Bridge and 10.8 mi (17.3 km) from Church of Santa Maria Maggiore. Church of Navarrete and Plaza de Antillón are also within 20 mi (32 km). 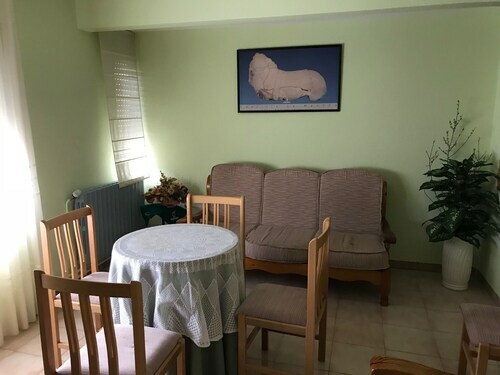 Situated in Gea de Albarracin, this apartment building is 3.8 mi (6 km) from Pinturas Rupestres and within 12 mi (20 km) of Muralla de Albarracín and Albarracin Toy Museum.